Are you a gadget freak or have to be almost always connected? Are you always on go, spend lots of time commuting to and fro from home to workplace or on travel trips often? Well, I am sure you have an idea about what I am about to introduce to you all. 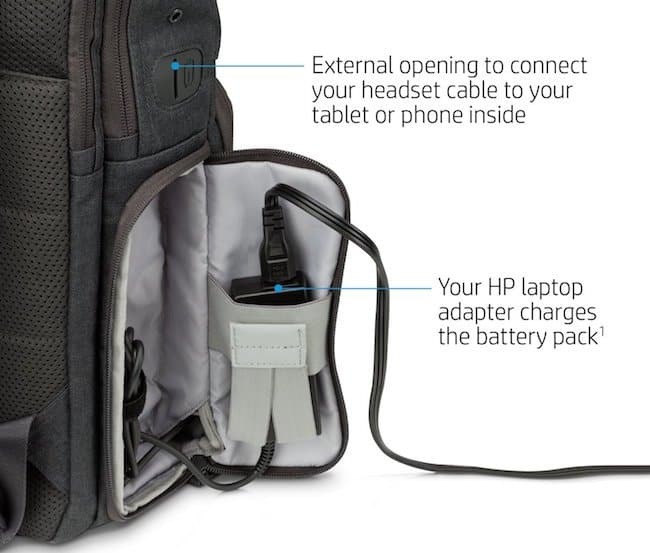 The image here shows a cool HP Powerup Backpack that ensures the battery of your various gadgets is never down. 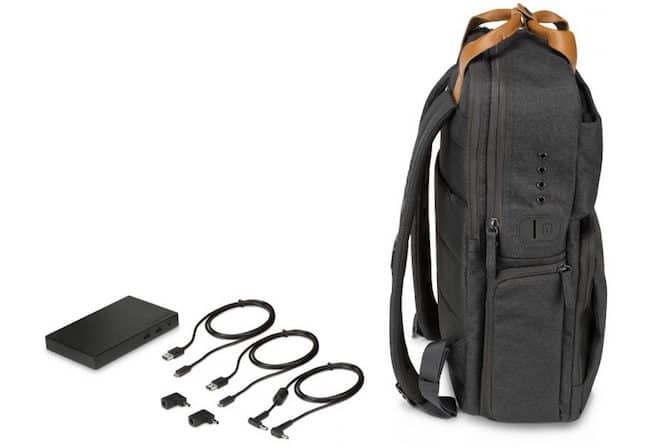 The backpack claims to store massive 22,400 mAh 84 Wh battery pack to charge your laptop, tablet or smartphone. The backpack comes endowed with wires for various gadgets to be connected and charged. 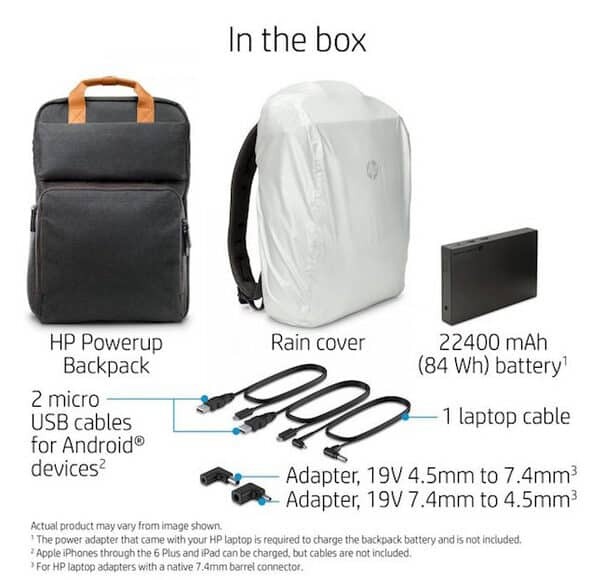 The bag can charge HP laptops up to one extra full life. But then as already mentioned, there are USB ports and cables that enable charging of Android tablets and smartphones from 3 to 10 times over. There is no good news for Mac users as there is bundled cord or adapter for Apple devices. For all the Android and HP laptop users, you can check out the video pinned here to know about the various compartments of the backpack and which one is meant to keep and charge your different gadgets. On the design front, the backpack is smartly crafted with special tricks to keep charging safe and convenient for the users. If you see the video carefully, you’ll see the ventilation holes and even sensors to make sure that the gadgets don’t heat up. Besides, there is a convenient hole that allows the passing of headphone cables through to let you enjoy your favorite tunes or podcasts whilst your laptop or tablet is charging. Also, there is a special pocket for the HP laptop’s own charging brick to let you inconspicuously connect to a power outlet without having to take it out. 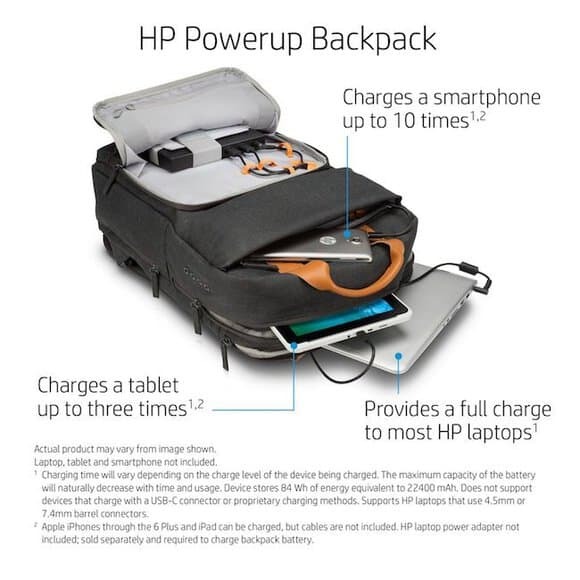 Besides, smart functionality of charging different gadgets in different compartments the HP PowerUp Backpack is indeed visually cool. 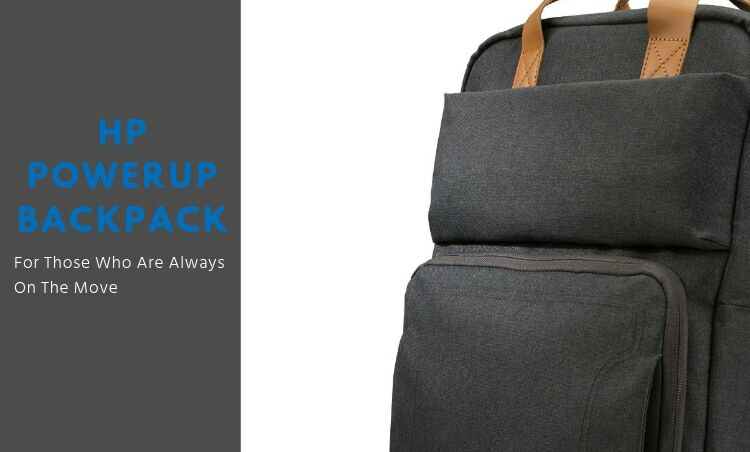 Hang your backpack and keep travelling or commuting from one place to another without worrying about the battery and stay connected through various gadgets. The spectators won’t be able to guess if this is a simple backpack or the one that is keeping your gadgets charged with 22,400 mAh 84 Wh battery pack. However, when you are going to introduce it to all your buddies and colleagues, they are sure to be left wide mouth opened. On the price front, we assure you won’t feel bad as the backpack is within budget. It will cost you $199.99. 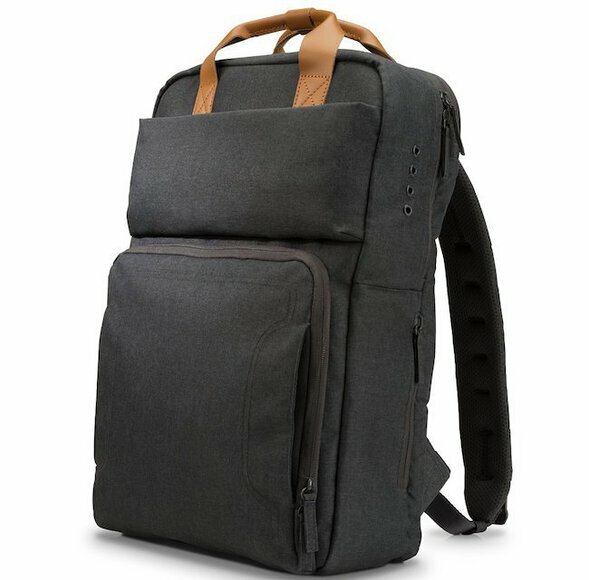 The HP Powerup Backpack is still on pre-order though, with shipping expected to start in October 1. So, what’s the wait for? Don’t you want to grab the opportunity to buy this super cool HP Powerup Backpack? Ensure that your pre-order before it’s gone!